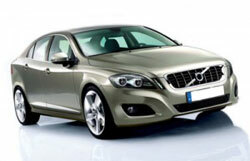 Repair of Volvo Vehicles | German Sport, Inc.
German Sport has been dedicated to offering only the best in car repair and car maintenance since 1986. European’s are known for driving on some of the world’s most challenging roads so it should be no surprise that their automotive engineering is top rate. A European car also needs first-rate maintenance and professionals at european auto repair. The experts at German Sport will keep your fine engine and chassis performing brilliantly. Contact German Sport today to schedule your car repair or car maintenance.